Leah Moyes happily lives in the sunny state of Arizona…year-round. She is the biological mother of four but claims many more. After a career in the airlines and teaching high school sciences, she has pursued her life-long dream to become an Archaeologist and currently works under the guidance and direction of amazing Archaeologists at Arizona State University. Between writing and archaeological digs, the world has become her playground. 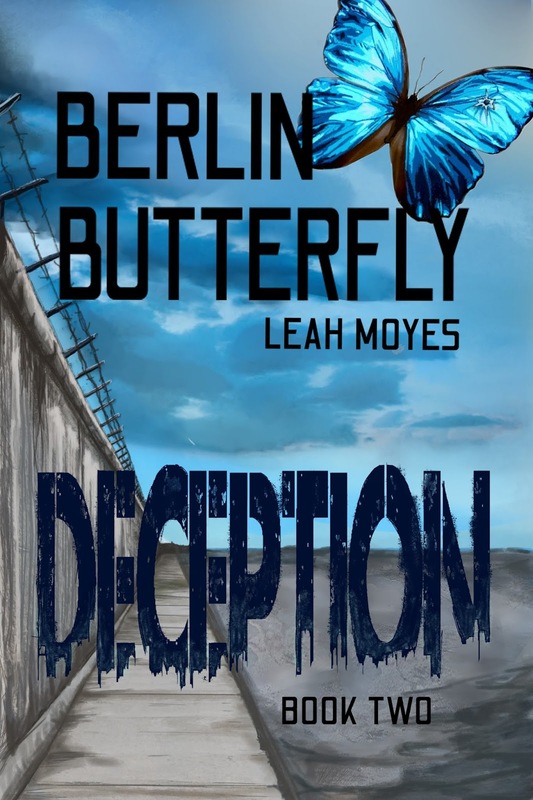 Berlin Butterfly is her first Historical Fiction Series. It’s 1966 in East Berlin, Germany. The Wall is reinforced with cinder blocks, barbed wire, tank traps and second-generation guard towers to oversee what is known as the death strip. It’s function successfully claims a steady stream of victims longing for freedom and willing to risk everything to escape the destruction known as the Deutche Democratic Republic. Ella Kühn now in her twenties, faithfully awaits the end of “spoiler alert” ‘s ten-year military sentence, yearning for the moment they will finally be together. 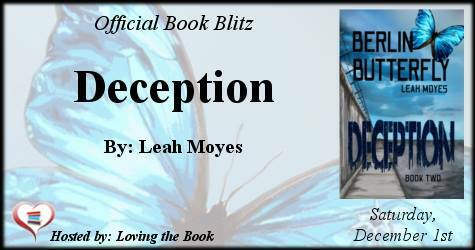 A mysterious disappearance, startling news from the West and surprising betrayal wrench Ella’s dedicated resolve in shocking directions. Her stubborn curiosity and devotion to those she loves pushes her to pursue answers in the face of doubt, danger and even death. 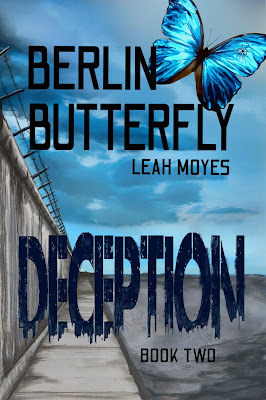 In Deception, book 2 of the “Berlin Butterfly” series, Ella’s search for light in an ever-growing darkness introduces her to new friends, perilous associations and deadly exploits. Will “spoiler alert” ’s love and the belief that he will return be enough to keep Ella on the East side of the wall? Or does heartache and treachery push her to join the family and a life of freedom she longs for? Muffled sobs of relief came swiftly as I fell flat on my back. With my legs pulled tightly to my torso, I curled like a baby. The dream seemed so real . . . frighteningly real. Sweat, mixed with tears, dripped down my face. The emotions were conflicting—loss and pain, yet somehow that sorrow became fused with gratitude. I hadn’t been shot trying to escape East Berlin nor had I held a dying Peter in my arms. The unforgiving surface felt icy beneath me. Winter lingered in the walls of this old apartment building despite March being the doorway to spring. The dust-covered radiator in the corner offered no relief. I shivered. My cheek momentarily rested against the wood slats before I realized I no longer lay comfortably in my bed, but below it. When did I fall?